Japanese company Toyota recently completed the first North American in-home trial of its new robot called “Human Support Robot” (HSR). 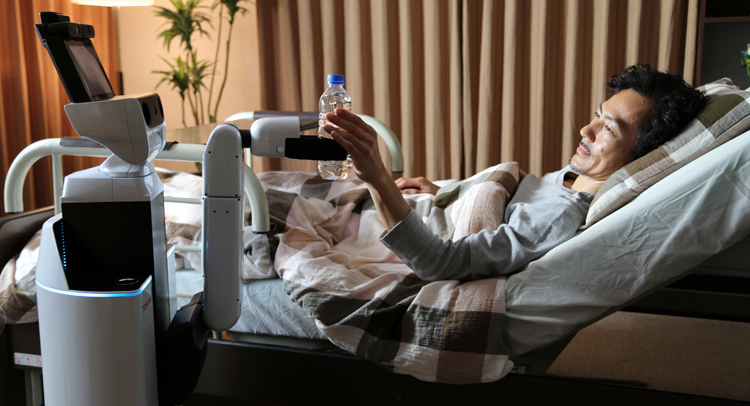 HSR is one of the robots being developed by Toyota to help people with everyday activities. U.S. war veteran Romulo (Romy) Camargo, whose injuries in Afghanistan left him paralyzed from the neck down, was the recipient of the first North American in-home trial of HSR. During the trial, Toyota’s robot helped Camargo with his everyday tasks such as opening doors and delivering bottles of water. The robot, with its lightweight cylindrical body and folding arm, can retrieve objects from shelves, pick objects up off the floor and perform other tasks. Toyota is also planning to make HSR as the company’s solution to the growing demand for long-term elderly care in societies such as Japan. The World Health Organization projected that by 2050, nearly 22% of the global population will be over 60 years old. The Japanese government, meanwhile, estimated that by 2060, approximately 40% of the population in Japan will be aged 65 or over.